Let’s take a moment to be honest here. Just between moms. How often do you take the time to remove all the makeup and really wash your face at night? As a single mother, my time is spread out so thin that it was a miracle if I removed so much as the mascara from my eyes before hopping into bed. I’d wake up with raccoon eyes (c’mon, you know what I’m talking about) and so my morning routine consisted of washing it all off when I was in the shower. Over the past two and half years, I’ve learned so much about proper skin care that I can’t seem to lay in bed for more than a couple minutes before getting back up to wash my face (no matter how exhausted I am)! You see, as a Mary Kay consultant, I’ve been trained to learn proper skin care and beauty routines. As a single mother, I’ve learned how to make these routines SUPER simple and quick so that it doesn’t take me 3 hours to get ready in the morning. Did you know that our skin starts to break down collagen and age faster in our early 20s? Yikes! As dead skin cells accumulate on our skin, our complexions start to have that dull look to it and it makes pores more noticeable. Our environment, especially the sun, can prematurely age our skin. Studies have shown that sun exposure is one of the leading causes of visible signs of aging. As we age, our skin becomes thinner and more fragile, natural oils decrease, causing dehydration in our skin to be more visible. Our skin is constantly regenerating itself! Younger skin can regenerate in 24 – 48 hours whereas mature skin can take up to 120 days to regenerate! Wow! I don’t know about you, but I want to ensure my skin stays healthy for years to come. That said, let me share with you the proper skin care routine that I teach women when I hold skin care classes (and that I personally use). Find a good cleanser that works for your skin! Cleansers are meant to remove any makeup and impurities. 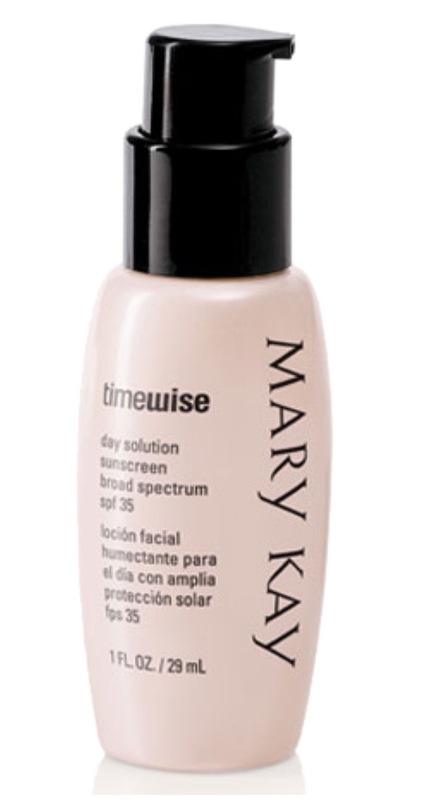 I really like Mary Kay’s TimeWise 3-in-1 Cleanser. In the summer time, I use the Normal/Dry set and in the winter, I’ll switch over to the Combination/Oily due to my dry skin. I lather up the cleanser so that the micro-beads really exfoliate my skin and get all the dirt off my face. I use the Day & Night Solutions which are anti-aging serums that help fight the appearance of age! The Day Solution protects and shields the skin from UVA/UVB rays with SPF 35, whereas the Night Solution repairs your skin while you sleep by counteracting daytime damage. 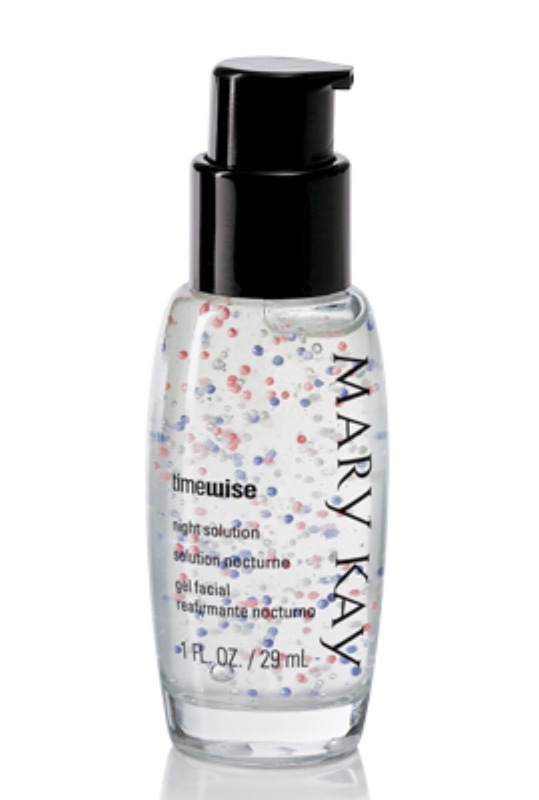 Finally, I round off my skin care with Mary Kay’s TimeWise Age-Fighting Moisturizer . This oil-free moisturizer gives me 10 hours of moisturization and leaves my face feeling AMAZING! Whichever products you choose to use as part of your skin care routine, make sure that you use them daily for best results. You also want to pay attention to how your skin feels. If it feels dryer than when you first tried the products, try switching to one with more moisture. Don’t be afraid to customize your skin care products to suit your needs! The goal is to make sure your skin feels amazing! Have questions about skin care? Feel free to comment or contact me! Have a skin care product you absolutely love? I’d love to hear about them!